Why Choose the Phoenix AC & Heating Experts? We know fully well how air conditioning emergencies can wreak havoc in businesses and bring extreme inconvenience in homes. When that happens to you, feel free to call Phoenix AC & Heating Experts. Our mission is to immediately get the air conditioning system back in shape for quick resumption of business and functions. Cut your losses by immediately bringing in our team of licensed experts. Upon your call, we will tell you the time of our arrival, so you can have an ample preparation period. Give us some time to reach your place and perform necessary repairs. We will inspect the system first. This is to check if parts replacement is a better option than doing repairs. Ten to fifteen years is the average lifetime of most air conditioners. If yours is nearing ten years, we might talk with you about a replacement. Energy consumption of old and inefficient units is financially damaging. In emergencies, most customers worry of possible high costs. So, even in those instances, we take time to brief customers of cost details. Our business is bound by the promise of helping distressed families and businesses by ensuring that there are no extra fees or hidden charges. We expect you to ask questions no matter how urgent the situation may be. He was very professional, knowledgeable and happy to answer all of our questions. We would have Cory back anytime. He also gave excellent advise on how often AC and heating units should be serviced to avoid potential problems… Friendly and professional. Very professional, and explained everything that needs attention. My technician was Mike Heydron he explained everything and I felt I was getting a very good deal. Thanks for a great experience!! Success in business boils down to how different services and products compared to others. How do we stand out? Experience – Our business has come a long way since it was born in 2002. More than 15 years of service in the Phoenix area is surely a big difference to reckon with by competitors. Customized service – We can tailor a service depending on the needs of our customers. Costs are adjusted accordingly, but still guided by the principle of competitive and honest pricing. Helpful, knowledgeable staff – We perform regular training and tests on our workforce. Areas covered include excellent customer service and technical expertise. Ease of scheduling – You are free to pick the time slot in which you need our services. Prompt service – Delayed service is a no-no. You deserve on-time delivery of service. Pocket-friendly prices – How good it is to get timely and no-nonsense services that will not break the bank. At Phoenix AC & Heating Experts, we provide more ways for customers to save. Sudden air conditioner breakdowns force homeowners and businesses to shell out money. Even if it is just for repairs, call it as an investment, and we’re here to help you make that investment count. Check out our different coupons which our friendly representatives will explain to you in details. We have a AC Repair Phoenix maintenance plan, because we believe one of the best ways to protect your money is to have the system regularly checked. With regular maintenance implemented, future system collapses can be avoided. It is also the best way to maximize the efficiency of your equipment, extend the life of it, and optimize energy savings. Special services also carry with them special deals. Take advantage of insulation coupons. This is our special way of ensuring that you have a well-insulated home without having to put a huge additional cost on the table. 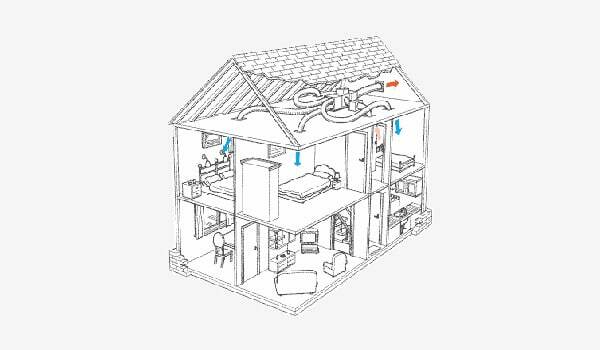 A well-insulated property makes it more energy efficient, which also means that it is able to cut down heating and air conditioning cooling losses by 80%. If you also want to cut condensation by a large amount, get your attic, roof and ducts insulated. In our effort to show how much we value our business and the customer it serves, we continuously come up with attractive AC Service deals, so check them out regularly. The coupon deals themselves are already pro-consumer, but you can have more with our tax credits and rebates. Keep yourself updated with coming specials. In the AC industry and other service industries, businesses and individuals who intend to work on structures must obtain the required licenses before they can lawfully operate. Contractor licenses are granted after buying a surety bond, which is used to protect customers. If the air conditioning contractor fails to complete the project or he has unpaid financial obligations related to the project, the bond will serve as an insurance to compensate for the inadequacy. We are proud to assure our dear customers that our business and our men are fully licensed, insured and bonded. It means that you are fully protected with our services, you will not have any warranty claim issues, and you will not be liable for any injury on men in the conduct of services within your property. License details of our business are available at the Arizona Licensing Board. The BBB can provide you additional information on how Phoenix AC & Heating Experts conducts its business.